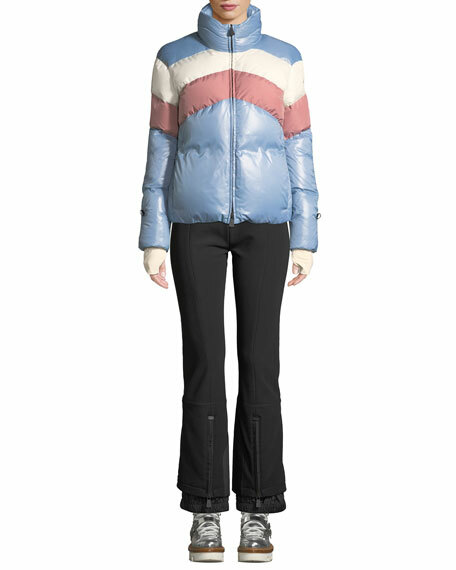 Moncler Grenoble stretch ski pants. Center seams down front and back legs. Zip details at back hem.